Trend Pro, trading software developer, expert trader, and all around great guy, would like to invite you to attend his current seminar. “I'll personally give you My Newest Trading Secrets & Stock Picks”, Trend Pro. Would You Like To Maximize Your Trading Performance? 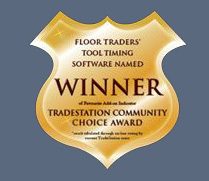 Would You Like To Know The Methods That An Expert Trader Uses? Would You Like To Learn How To Make Every Trade Exceed Your Expectations? If you answered yes to any one of those questions, you will love what this seminar can do for you. Roy’s seminars are informative, interesting, fun, and simply one of the smartest things a trader can do for his or her trading proficiency. You won’t just sit and listen to some boring speaker ramble on and on about the “do this and don’t do that” tactics of trading. You will discover some of the greatest established strategies for every type of market. Trend Pro himself will discuss with you the best approaches to position, swing, and day trade - of the FOREX, S&P Index, and E-Mini's, various types of futures, and even active intra-day and end-of-day stocks. Trade In Your Mediocre Trade Outlook, For One Without Limits, Attend This Seminar And Never Look Back! Or Register Online by Clicking Here. Roy will teach you his long-established, infallible, and unbeaten “4-Step Master Trading Program”. By attending this seminar, you can absolutely take in the needed information needed by gaining the know-how to confidently apply Trend Pro's timing methodology and use his trading software to expand your trading skill and lower your risk. The cost to attend this one-day seminar is $1,495.00. (If you register now you’ll receive an additional 10% discount.) However, the investment in your future is priceless, and the knowledge you will gain from the seminar, can start bringing in returns as soon as you make your next trade. At the start of the seminar, you will receive a step-by-step workbook/instruction guide, and also 2 new trading indicators that are only available to seminar participants. That is a gift valuing at almost $550.00! New... In addition to the Training Manual, Seminar Indicators (Direction Bands, and Choppy Market Indicators). During this one-day trading seminar, Trend Pro is going to share his most legendary and recognized trading secrets! He will personally assist and instruct you, step-by-step, so that you can gain the knowledge and understanding of how to trade effectively, productively, and lucratively.  By sharing his time-honored, and his newest trading methods and exclusive secrets, Roy will give you an astounding advantage in the trading arena. After attending this seminar, you will know how to make superior trades, increased accurate trade decisions, and you will have the ability to use those skills to make more money with each trade you make. Sign Up Now And You Will Receive 10% Off The Already Discounted Price. The one-day seminar will demonstrate and explain for you Trend Pro’s renowned techniques in the following areas…and more. How To Trade With Cycle & Swing Patterns And More. Basic & Advanced Methods For Trading All Markets. The Best Way To Use Each Of Roy’s Indicators. How To Forecast Future Tops And Bottoms. Trading Patterns That Help Establish Cycle Tops And Bottoms. Money Management Skills For Daily & Intra-Day Trading. Finding The Safest Entry To Lower Your Risk. Trading Patterns That Establish The Direction Of The Trend. Patterns That Help Recognize Trend Reversals. In Addition To A Lot More! “No matter what style you trade, this seminar will show you how to improve your timing, increase your profits, and lower your risk - guaranteed - or your money will be refunded, no questions asked”. Read what others have to say about our products and services! To Register Call our office at (775) 443-7677 or register Online by Clicking here. Substantial discounts are offered for previous workshop attendees, please email us or call the above number for you discount. The time and length of the subjects presented can change, and may vary depending on the group attending, and what their needs are at the time. Therefore, we reserve the right to change the itinerary and schedule at his discretion. WANT TO KEEP UP ON THE LATEST NEWS? 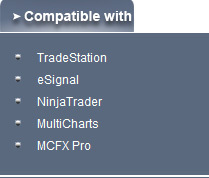 Our software is compatible with TradeStation, eSignal, MultiCharts, NinjaTrader.